Music is most addictive drug in the world and to consume it properly; you need a good taste and a good pair of earphones. While all the Apple fanboys are busy finding their lost ear pods, you can try the standard wired earpieces which we’re going to review today. The BlitzWolf BW-VOX1 Hybrid Drivers Earphones are a charm to every music lover and pack a lot of amazing features within an affordable price range. The hybrid pair is a combination of the portability of an earphone smartly integrate the comfort and quality of a headphone. BlitzWolf has been in the tech accessory and gadget industry for quite a time now and is best known for its VR Headsets. Every product from this company is visually appealing, comfort-oriented and I guess this earphone wouldn’t disappoint us as well. 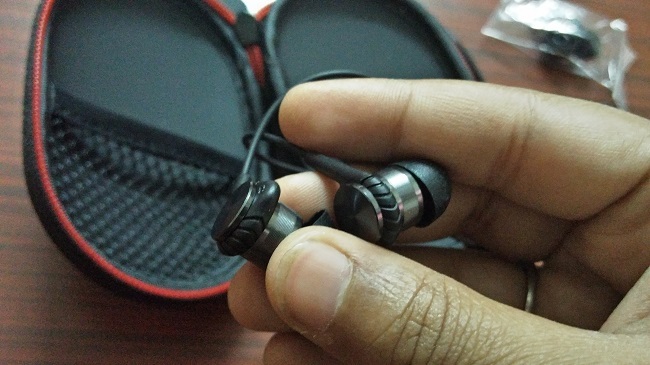 So, without any further talks, let’s start the review of the BW-VOX1 Hybrid Earphones. The packet arrived to me last week, and I was excited to get my hands on this earphone as my previous ones were lost. The package was shipped perfectly without any damage and the box game me a premium sense of feel at the first view. 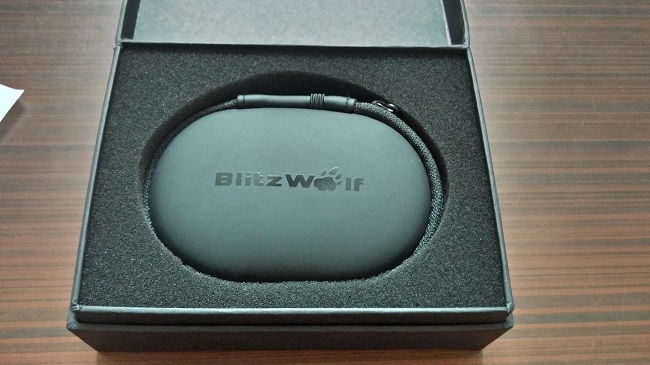 The box contained had a manual, a zipped earphone case with the BlitzWolf branding on it, and the earphone itself along with some extra buds of different sizes. The earphone case comes with the Velcro to hold them without any tangle. One can easily carry them in their bag packs or even in the pockets while travelling. The additional earbuds are made up of high-quality silicon and come in three different sizes for full comfort and hassle-free music enjoyment. The earphones are priced at an affordable price of Rs. 1759. You can buy the BlitzWolf’s, BW-VOX1 Hybrid Drivers Dual Double Drivers Earphone directly from the BangGood website. The e-commerce site delivers all the products via free International Shipping within 7-10 business days of the purchase. Moreover, there’s an exclusive 20% discount available for all the CrunchyTricks readers. Just enter this coupon code while checking out and you’ll be able to buy the VOX1 hybrid earphones for a discounted price. The BlitzWolf VOX1 earphones have a fascinating design. The body of the buds is made of aluminium metal blended along with good quality rubber patterned edges that give it a stylish and premium look. The earphone packs the hybrid dual drivers for deep bass output and crispy frequency drops that give the user an enhanced listening experience of their favourite music genre. 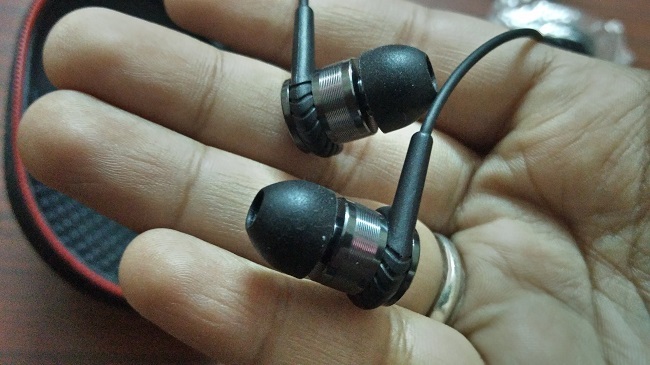 It sports the matte black colour throughout the earphone with the greyish metal finish on the buds and earmuffs. The best thing about these earphones is the unique hybrid technology that it brings along for the good quality output. The earphones have a Dynamic driver for heavy bass and low-frequency sounds and a balanced armature driver for high-frequency music range up to 40 kHz. The ear buds are made of the standard neodymium magnets, and the 24K gold plated 3.5 mm jack. The earphone also has the inbuilt microphone and buttons for all the music and call related functions. You can easily control the volume, change music tracks, play/pause music, and call pickup features using the same. Talking about the music and the sound production, the earphones VOX1 did a quite good job to satisfy my whim. I’ve tried different genres like EDM, Trap, and basic Pop music to test out the quality of the earphones. To be honest, it was quite surprising to listen to different songs as I could hear all the instruments distinctly. You’ll really feel what the artist tries to convey through his music. 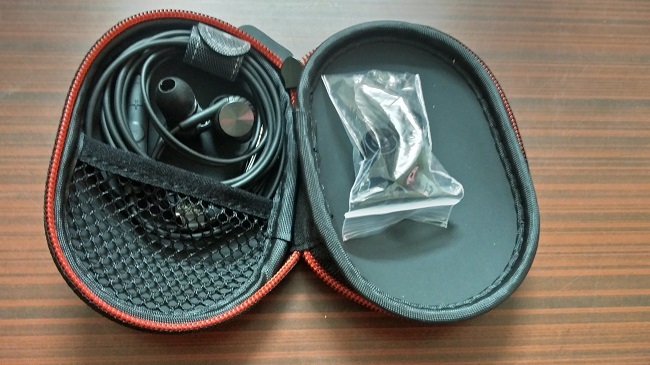 So, this was my review on the BlitzWolf BW-VOX1 Hybrid Dual Driver Earphones, and I am sure you guys have loved these little charms as well. Is the BlitzWolf BW-VOX1 for you? For most, the answer is yes. It has a premium look and a rich metal design a budget of the street price of Rs 1759. I personally, for one, didn’t like the cranky sound output which was produced during the high-tempo disco music. However, it can be fixed by using your smartphone’s Equalizer. The comfort and the lossless music output with deep bass are the best features of these earphones and are recommended for all the music lovers. Do share your thoughts on these earphones and let me know if you’ve purchased them as well. Also, don’t forget to use the discount code mentioned above. Cheers!